When It Comes To Depression, Serotonin Isn't The Whole Story : Shots - Health News The antidepressant Prozac selectively targets the chemical serotonin. When the drug was introduced in the 1980s, it helped solidify the idea in many minds that depression was the result of a chemical imbalance. But the real story is far more complicated. "The problem with you," she explained, "is that you have a chemical imbalance. It's biological, just like diabetes, but it's in your brain. This chemical in your brain called serotonin is too, too low. There's not enough of it, and that's what's causing the chemical imbalance. We need to give you medication to correct that." That was the late '80s, but this story of a chemical imbalance brought on by low serotonin has remained very popular. "I don't know of any story that has supplanted it," says Alan Frazer, a researcher who studies how antidepressant medications work. He is also chairman of the pharmacology department at the University of Texas Health Science Center at San Antonio. "It definitely continues to live — absolutely," agrees his colleague Pedro Delgado, the chair of the psychiatry department at UT. "If you go to your community doctor, you're likely to hear some version of that." "Chemical imbalance is sort of last-century thinking. It's much more complicated than that," says Dr. Joseph Coyle, a professor of neuroscience at Harvard Medical School. "It's really an outmoded way of thinking." According to Frazer, to understand how the story of low serotonin came to dominate our understanding of what causes depression, you need to go back to the late '50s, to a psychiatric hospital in Switzerland. That's where psychiatrist Roland Kuhn gave a newly developed drug to 10 patients who had been paralyzed by depression for years. Over the course of three weeks, he watched a near-miracle occur. "There was this lightening of their mood," Frazer says. "They became more energized, more interested in things around them." This was the birth of the very first antidepressants, called tricyclics. And with that birth came a question: How could these drugs possibly be working? Researchers had some ideas, but it really wasn't until the mid '60s, when the cause of Parkinson's disease was discovered, that a real narrative began to take shape. It turned out that Parkinson's — a brain disorder — was caused by a deficiency of a chemical in the brain called dopamine. This discovery influenced the way scientists thought about depression. "There is no doubt in my mind that the Parkinson's story had a strong impact on the way that people were thinking about depression," Frazer says. "It became easy to speculate that depression was due to a deficiency." 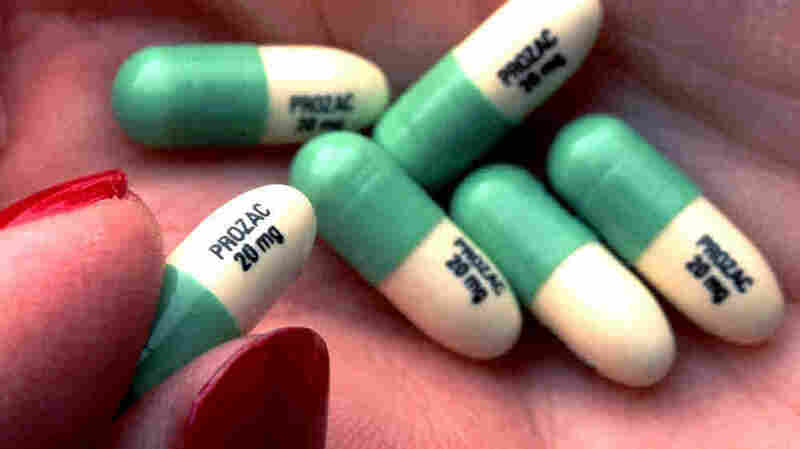 Almost as soon as it was introduced in 1987, the antidepressant Prozac, which selectively targets the chemical serotonin, became a blockbuster. "Prozac just blew everything else out of the water," Frazer says. "It was very free of side effects," says Pedro Delgado. "And so it began to be used very widely, and there was a lot of enthusiasm for it." "I don't think there's any convincing body of data that anybody has ever found that depression is associated to a significant extent with a loss of serotonin," he says. Delgado also makes this argument. In the 1990s, he carried out a study that showed that if you take a normal person and deplete them of serotonin, they will not become depressed. He says he feels this demonstrates that low serotonin doesn't cause depression. Coyle is less absolute in his dismissal of the evidence on serotonin. His take is that while low serotonin probably doesn't cause depression, some abnormality in the serotonin system clearly plays a role. But most researchers have moved on, he says, and are looking at more fundamental issues like identifying the genes that might put people at risk for developing depression. "What's being looked at are processes that are much more fundamental than just serotonin levels," he says. "We need to move beyond serotonin, and I think the field is." Frazer says it's probably because it has had, and continues to have, important cultural uses. For one, he says, by initially framing the problem as a deficiency — something that needed to be returned to normal — patients felt more comfortable taking a drug. "If there was this biological reason for them being depressed, some deficiency that the drug was correcting," Frazer says, then taking a drug was OK. "They had a chemical imbalance and the drug was correcting that imbalance." In fact, he says, the story enables many people to come out of the closet about being depressed, which he views as a good thing. Still, there's no question that the story also has downsides. Describing the problem exclusively in biological terms has convinced many people to take antidepressants when other therapies — like talk therapy — can work just as well. "When you feel that you understand it, a lot of the stress levels dramatically are reduced," he says. "So stress, hormones and a lot of biological factors change." Unfortunately, the real story is complicated and, in a way, not all that reassuring. Researchers don't really know what causes depression. They're making progress, but they don't know. That's the real story. It's not exactly a blockbuster.